Most of you are probably aware of a new festival that is coming to Danville this May. If you haven’t heard, get ready to let out a big, Gomer Pyle, Shazam! I personally have helped with some promotions for this first-ever Mayberry in the Midwest festival coming May 17-18, and as a fan of the show, I couldn’t be more excited about the activities planned by the organizers led by the Mayberry Cafe and Downtown Danville Partnership. If you are an Andy Griffith Show fan living anywhere in this country, I highly recommend a visit to Hendricks County this particular weekend. As far as I know, hotel rooms are still available. We have a lot of insider information planned in the weeks to come right here on All Access Hendricks County to get you all set for this festival that is expected to draw thousands of visitors. For now though, I want to give you an early, sneak peek of what to expect that weekend. Experienced tribute artists from all over the country will reprise some of the show’s iconic roles such as Barney Fife, Gomer, Goober, Floyd the barber, Ernest T. Bass and many others. I have personally seen some of these artists in action, and they are the absolute best at what they do. At Mayberry in the Midwest, the tribute artists will tie the festival together staying involved with virtually every aspect of the weekend including performing skits on stage, mingling with the crowd, posing for pictures and signing autographs. Two actors who had roles on the original show will be here as well. Maggie Peterson Mancuso, who played Charlene Darling on the show and is now 73, and Rodney Dillard, who was the Darling brother who played the guitar on the show and will celebrate his 72nd birthday that weekend, plan to be here to meet fans. Dillard, who is now a minister and still performs with a band, will even host a concert Saturday night in Ellis Park and provide a church service on Sunday morning at West Bridge Church, which is located just outside of Danville at 1521 S. County Road 75 West. Miss Mayberry – Participants have to be 16 years and older and as of this writing only four spots remained. 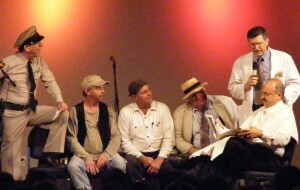 Similar to a beauty contest with some Mayberry flair, tribute artists will determine the winner. Barney’s Quick Draw – Participants must be at least 12 years old to compete to see who is the fastest to hit a target. Citizen’s Arrest – Contestants 16 years and older compete to see how many audience members they can arrest and put in jail. Goober & Gomer’s Pit Stop – Teams of two who must be 16 or older compete against the clock while doing pit stop-related tasks on a parked Mayberry squad car. 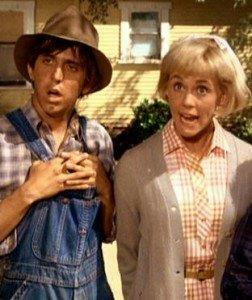 Ernest T’s Bride – I’m sure this contest is one our special guest Maggie Peterson Mancuso can relate to! Contestants will compete to become or avoid becoming Ernest T’s bride. Wearing a wedding dress is required, and the Ernest T. Bass tribute artist will choose the winner. A complete list of all the contests, including some for kids as young as 8, rules and registration details can be found here. The trivia contest is the only one full as of this writing, but spots are going fast. Some of the other featured activities that weekend include a Mayberry Parade on Saturday morning that will begin at Broadway and Jefferson streets and head north ending at the Courthouse Square. The parade will feature the tribute artists, Opie look-alike contestants, a band, a loaded goat (those familiar with the show will get this reference) and more surprises. Mayberry Downhill Derby will begin on Sunday morning with heats in Ellis Park. Participants can enter one of two categories – a competitive division for experienced Soap Box Derby racers and a just for fun division for those of you who just want to build something from scratch and go down the hill. Other ideas for the just for fun division include organizations, groups or families who may want to compete against each other for bragging rights. Complete rules and regulations can be found on the website. Opie’s World will keep the kids busy with fun activities. Food and craft vendors will be on hand and a must-see Squad Car Nationals will finish off the weekend on Sunday. 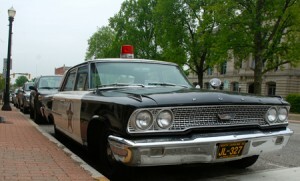 That Squad Car Nationals event will feature squad car enthusiasts from all over the country competing in two-person teams (a driver and passenger) through an obstacle course in Ellis Park complete with Mayberry-themed stops such as Barney inspecting drivers to assure they are worthy drivers. Keep watching for more Mayberry in the Midwest stories over the coming weeks as we count down to this inaugural event.